The green building standard LEED is moving beyond the structure and into the neighborhood. With the pilot phase of LEED for Neighborhood Development now underway, its organizers hope to establish a new way to create and evaluate environmental sustainability in urban design and development. Environmental concerns have flooded into the public consciousness recently, and addressing these concerns is the new frontier of political correctness. With movies, television, and the popular media at-large increasingly tapping into the drama of climate change and environmental degradation, the past few years have brought about a widespread resurgence of the environmental movement. With that resurgence has come a boom in the green market: organic foods, hybrid cars, energy-efficient appliances, and on and on. Also entering recently into the broader public consciousness has been the concept of green building, thanks largely to the certification standard LEED – or Leadership in Energy and Environmental Design. Created by the U.S. Green Building Council in 1998, the standard has been sought out by thousands of buildings and projects in more than 40 countries. But now, USGBC is expanding its scope, going beyond the scale of the single building to rate and certify entire neighborhoods. LEED for Neighborhood Development – or LEED-ND – is this new effort, and it is currently in the midst of a pilot stage that many expect will achieve full adoption by its organizers and eager participation by planners, designers and developers. The idea to take this green standard beyond the realm of architecture to that of urban design and development took shape in 2003 through a collaboration between USGBC, the Congress for the New Urbanism and the Natural Resources Defense Council – three groups with three distinct yet often-overlapping interests and agendas. And after more than four years crafting and revising this system, a group of representatives from each organization called the LEED-ND Core Committee has released a near-final version of its rating standard. More than 200 projects have been accepted for certification consideration in the pilot stage, which is essentially a practice run to see how the rating standard works and where it needs improvement. This is both an exciting and apprehensive time for the LEED-ND's authors, who spent years crafting the performance criteria, and deliberating through many meetings to try to balance the sometimes competing interests of the three partner organizations. What they came up with is a finely-tuned mix of USGBC's materials and land use considerations, CNU's urban design guidelines, and NRDC's environmental and smart growth concerns. This three-layered lens evaluates projects by a number of criteria, including location, density, conservation of wetlands and agricultural lands, reduced automobile dependence, proximity to housing and jobs, walkability, energy efficiency, and a host of other measures. In total, LEED-ND has nine required benchmarks and 49 possible categories for which projects can be evaluated. Those involved with the creation of the standard are the first to admit it's trying to cover a lot of ground. But the purpose, they say, is to create a more comprehensive explanation of what it takes to create environmentally sustainable developments. "Getting accessibility, affordable housing, public involvement, and open communities all in LEED-ND I think was a healthy and rational expansion of the definition of sustainability" said Doug Farr, founding principal of the green architecture and planning firm Farr Associates, and chair of the LEED-ND Core Committee. 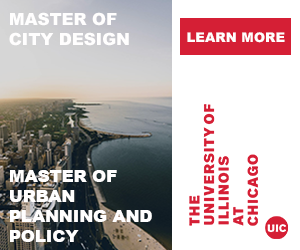 Farr says this new definition of sustainability was intentionally developed with such a wide net to stress the idea that urban design, land use and the environment are inextricably linked. In this way, LEED-ND can be looked at as an updated version of the famous Venn diagram of sustainability that shows the overlap of the environment, the economy and social equity. "What LEED-ND really does is bring everything together and create coherence across all the specialties," said John Norquist, CNU president and CEO, and also a member of the LEED-ND Core Committee. Bringing all these concerns together in such a way that the standard could guide development to a specific goal was a time-intensive process for the committee, but many feel the result is a viable recipe for sustainable urban development. 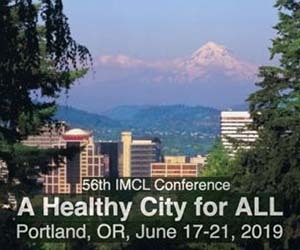 "This is the functional equivalent of a zoning ordinance, it's just that this zoning ordinance is dedicated to sustainability and environmental quality," said Eliot Allen of Criterion Planners, the firm contracted by the USGBC to conduct the judging of the 238 projects that have been included in the pilot stage. In early 2007 USGBC put out a call for project developers interested in participating in the LEED-ND pilot phase. The initial plan was to accept 120 projects, but nearly 400 projects expressed interest in the pilot phase. Of those, 238 ended up submitting applications. Project descriptions were sent in, as were fees based on project sizes, ranging between $8,000 and $20,000. 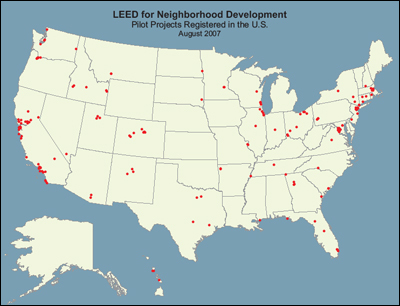 The location of the U.S. projects included in the LEED-ND pilot program compiled by Criterion Planners. The projects accepted into the pilot phase represent 39 states and six countries, though the majority of projects are located in the U.S., particularly in California. The list of projects accepted into the pilot program was announced in Summer 2007, and the developers of these projects have been given until early 2009 to submit documentation about how their projects meet the prerequisites and credit standards of the rating system. Currently only a handful of projects have turned in their documentation for review. But the applicants have been keeping USGBC busy with questions and concerns about how to calculate certain measures and how to apply some of the general criteria standards to specific aspects of their developments. Jennifer Henry, director of LEED for Neighborhood Development at USGBC says that they're receiving 80 to 100 questions per week from applicants. This is valuable input, she says, and the types of questions being asked are already shaping the revision of the standard that will be presented at the conclusion of the pilot phase in 2009. USGBC's experience with already-established LEED rating systems for buildings has enabled the developers of LEED-ND to avoid making some major organizational mistakes. But that doesn't mean there won't be hurdles and bumps between now and 2009. "They're the grown-up rating systems," Henry says of LEED for buildings. "We're still the teenager." When the initial idea for this rating system was incubating, USGBC, CNU and NRDC representatives knew that some of their interests might have to be excluded. Farr calls the committee members "15 plays-well-with-others people," but playing well with each other doesn't necessarily mean agreeing with each other. "There are some compromises that get made," said Kaid Benfield, director of NRDC's Smart Growth program, and vice chair of the LEED-ND Core Committee. For example, drafting the pre-requisite measures necessary for certification turned out to be one of the most active points of conflict, according to Farr. Pre-requisites such as project location and minimum density serve to either open or close the door for project certification. Accordingly, getting them right was important – but far from easy. "It's really important to the Smart Growth constituency that not every bad location is able to be certified, because if it is, it's not much of a rating system for smart growth," said Henry of the black-and-white nature of the pre-requisites. 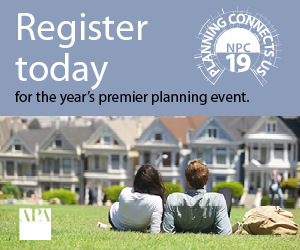 "On the other hand, you've got planners and practitioners who would like to be able to improve the plan no matter what the location." But the cut-off had to be written somewhere, and the committee members are confident that what they've written will encourage the type of urban development they see as necessary for a sustainable future. Until more project documentation comes in, it will be difficult to know just how well the standard's authors did their job. "One of the things that we can learn from our pilot program that is under way now is how some of the decisions we‘ve made play out in the real world," said Benfield. "We may learn that we have a standard designed to protect one thing that has an unintended consequence of making it difficult somewhere else. If we have a stormwater standard that makes it difficult to build downtown density, then we have to weigh those two interests." Writing the standard to only allow the best projects to achieve certification required that it be very specific. This tight focus was a struggle for some committee members. "The narrow standard is the enemy of making good places," said Farr. "One of the new experiences of the last few years that the urbanists have sort of suffered with is this idea that new environmental standards can also be narrowly written – some of them unintentionally – to make it difficult to build walkable urban places." Based on a recent report by Allen and Criterion Planners of the first batch of projects included in the pilot phase, a wide variety of project types, sizes and locations have been included, but most tend to fall in line with the conventional definition of "Smart Growth". These are encouraging results for the committee. 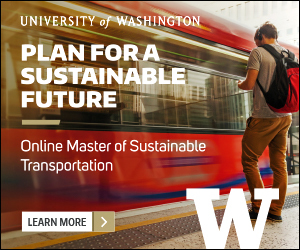 "They are located overwhelmingly in more urban, more transit-accessible places with lower rates of driving than the average, and that tells me that, already, we're attracting exactly the kinds of locations that we want to encourage," said Benfield. The majority of projects are located in urban areas they have an average density that is twice the national average, according to Allen. This was welcome news for each of the three constituents. "Having the development pattern be a little bit tighter will actually make better living for people," said Norquist. "I always call urbanism the convenient remedy to the inconvenient truth." 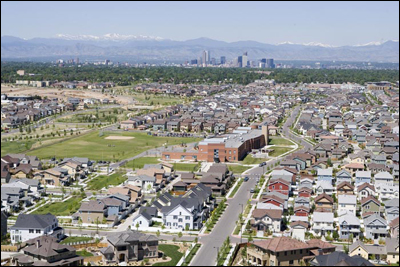 One of the projects included in the pilot phase is Stapleton, a 4,700-acre mixed use, New Urbanist development being built in Denver, Colorado. The project is being touted as not quite inner-city and not quite suburban, marketing itself to the young professionals who want to be able to get to their jobs in central Denver without hours of commuting, and also walk from their homes to nearby parks and shops. Melissa Knott is director of sustainability for Stapleton developer Forest City and she saw the project as being a perfect example of what LEED-ND is trying to accomplish. "It's envisioned as a sustainable community. 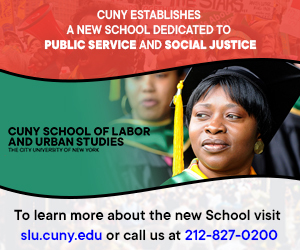 It's got all these ideals: sustainability, affordability, education, technology. All these different pieces," Knott said. "It was just a no-brainer for us to be involved in that pilot." An aerial view of the Stapleton project, with downtown Denver, Colorado in the background. Stapleton is a Stage 2 project seeking LEED-ND certification. Stapleton is one of the larger projects to be considered for certification. This has been a concern for Knott, who worries that the large scale of the project includes so many smaller parts and aspects that a few little issues may derail the project from being certified. But she is also hopeful that the lessons learned from Stapleton's inclusion in the pilot phase will help revise the standard to better assess bigger projects. Making the system better from the inside is the major goal of the pilot phase for USGBC. But outside the system, some have voiced concerns that the system may not turn out to be as sustainable as it aims to be. Peter Gordon is an urban economist and professor at the University of Southern California, and he worries that placing too much emphasis on sustainable urban development will have unintended negative consequences. "There's a cost of sustainable development and smart growth and all that. You can have those things, but I want the costs to be known. And I think the costs right now are coming out in terms of housing affordability, and I want people to connect the dots," said Gordon. "If climate change is a problem, then go for a carbon tax. If you're not going to do a carbon tax, then ten thousand willy nilly, independent little programs by themselves are just going to have hidden costs. With a carbon tax, the cost is explicit," Gordon says. "But these things where the costs are hidden are, in my view, poison." The costs of a LEED-ND project will most likely be passed on to the consumer, as certification fees, design consultants and green building materials do not come cheap. But those within the LEED-ND camp are less worried about how the system will be accounted than what might happen if it becomes too successful. Farr and others have indicated that the LEED-ND standard will most likely be written as a code to guide cities and communities as they pursue a green development path. Taking the standard farther than that, like enacting it as a law, makes many people uncomfortable. "That could be a problem," said Norquist. "Because whatever mistakes are in the LEED system – and there's always going to be mistakes in these things, that's why they go through the iterations and reiterations and reiterations – and they can be codified as law. But if they're not right, then they're harder to change." Knott also understands the negative implications of making this system mandatory and calls on developers and public officials to avoid blindly latching on to the system in the interest of being certified. The system provides good ideas and guidelines for developers, she said, but relying on it to shape a plan is a mistake. "If you need a checklist to help you plan your development, that's a problem," says Knott. "That's just not how planning should be done. It should be very contextual to where you are, and I think the standard is hopefully reinforcing good decisions." Recognizing the project-specific nature of planning, LEED-ND separates applicant projects into three groups based on their development status: the preliminary planning stage before any permits or entitlements have been granted, the post-approval stage when development has already begun, and the completed or near-completed project stage. Knott's Stapleton project, for example, is in the second group. The majority of projects included in the pilot program are in the pre-entitlement first stage, and many involved with LEED-ND see that as a positive. "Everybody wants to see the system be able to proactively affect the work of designers and planners," said Allen, who feels that including projects still in the planning phase allows the LEED-ND standard to actually be part of the design process, not just a measuring stick after the fact. As more documentation is turned in to USGBC, the LEED-ND system will undoubtedly evolve. The first LEED-ND certifications are expected to be awarded within the next two months. When they are, a more complete vision of the multi-faceted concept of sustainable urbanism will begin to develop.